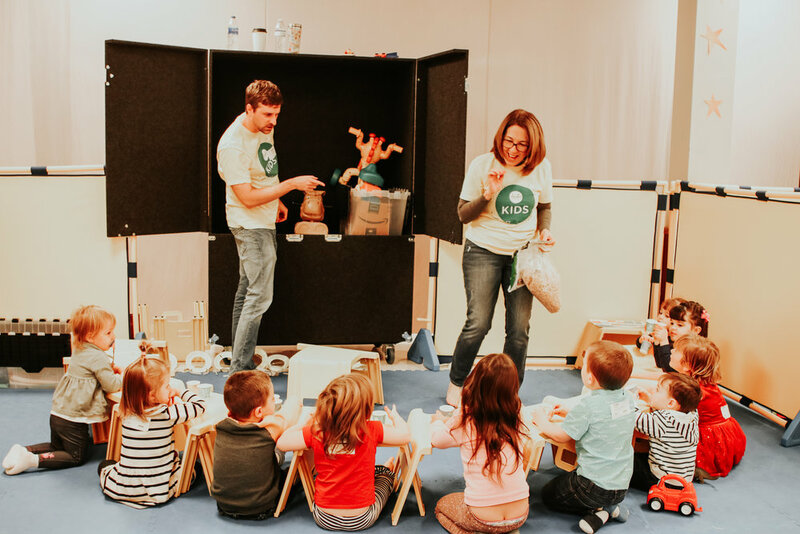 We are committed to creating a clean, safe and fun environment where your children will experience dynamic, relevant and age-appropriate teaching, small group and activities. Our core values at Awaken Kids are Know Jesus, Love Others, Be a Leader, and Have Fun! MEET JESUS, LOVE OTHERS, BE A LEADER, & HAVE FUN! We have the highest standard when it comes to clean environments for your children. We obtain background checks on every team member. We have a secure check-in and check-out process, we strictly enforce a minimum two-adult rule in every room, and we have a uniformed officer present at our campus. We want our Awaken Kids to grow spiritually, understanding that being a Christian is one of the most exciting parts of life! Our goal is to make Sunday your child’s favorite day of the week. You can take advantage of “Plan Your Visit” page and we can get your children pre-registered and checked in so that you can skip the line on Sunday. You can check-in on Sunday morning with our Check-In Team in Awaken Kids.